On August 16th I covered the upcoming 2014 Strides Against Breast Cancer across Second Life season, which officially runs through the months of September and October, and forms a part of the RFL SL season. The organising team’s chair, Jessi Warrhol has now released information on the season’s kick-off event. Things will start on Sunday September 7th at 09:00 SLT with a pre-event show from T1 radio. The full schedule will be as follows, remember all times SLT, 24-hour clock notation, as usual! 15:30 – While you are dancing away at kickoff, join the team at the special Making Strides broadcast booth for the premiere of the T1 Radio Show “Getting in Stride With Tee and Nuala”. The kick-off event will be taking place as a special venue alongside the American Cancer Society’s main region – teleport there and follow the signs. You can get involved by becoming a member of the Pink Club and being one of the MSABC sponsors for the 2014 seasons. The MSABC sponsorship page provides information on the available sponsorship packages for those interested. Individuals, businesses, groups and organisations across SL can also provide direct support throughout September and October. 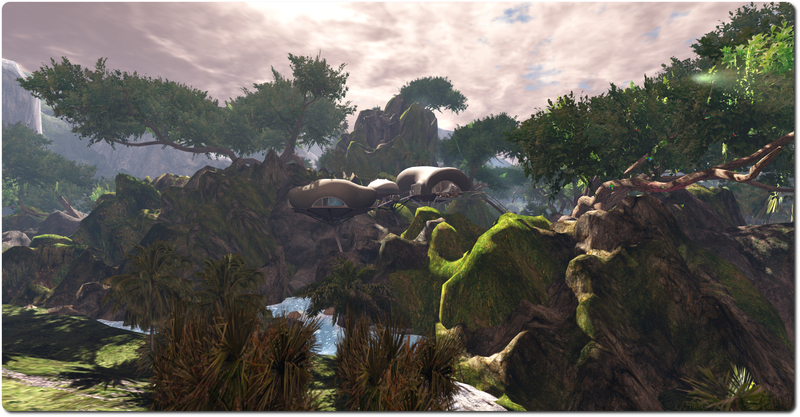 Simply request a fundraising toolkit and get started making strides in Second Life! Please register so that the MSABC team can keep you up to date with Strides activities and so that you can receive the special 2014 breast cancer survivor and caregiver packet. The I feel, You Feel hunt will run from September 21st to October 31st, and applications are still open for those creators and businesses willing to participate in the hunt and donate gifts. Items do not have to be all pink, and those wishing to provide clothing are asked to consider making both a male & female gift or a unisex item, as the hunt is for everyone. Those stores and businesses wishing to participate in the hunt are asked to complete the hunt application form, and to address any questions to Earth Nirvana in-world. 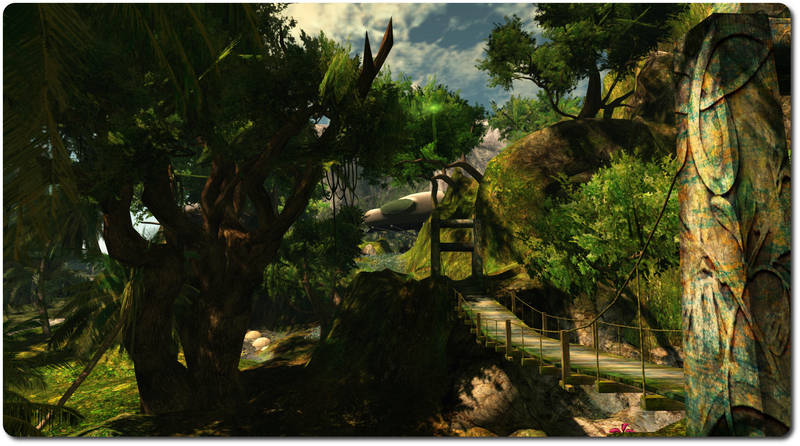 Bastet’s Paradise, referred to in the Destination Guide as The Lost Island, is a beautiful enigma inviting exploration. Designed by Tek Scientist, the region is a curious blend, offering a rich landscape for people to enjoy and explore, places to sit, or share or to dance, mixed with curious shades of adventure, fantasy and science-fiction. So, are we in Africa? Well, not entirely; the ruins a short walk away suggest we might be in South America, while beyond them a rounded tree house suggests something one might find hidden in Middle Earth, while the tiger roaming beneath the trees perhaps points towards the Indian sub-continent. Elsewhere things have a distinctly sci-fi edge to them, suggesting we are in fact on another world, far removed from Earth; so perhaps this place is a far-flung colony deep in space, an Eden created by human hands, where the animals of old Earth wander amidst the broad trees and ancient stones of a long vanished civilisation, and surrounded by tall mountains. 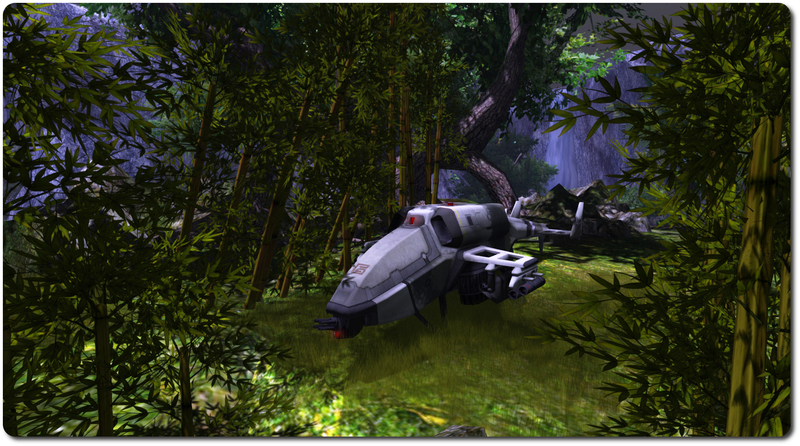 Careful exploration is required here, and if you’re into SL photography, you may find you’re spending a lot of time cycling through windlight settings, as so much of the region offers itself to photography and a range of lighting conditions. Do be a little careful in you explorations, however, as the sim surrounds do encroach on the region in places, which can lead to a few problems such as bouncing against the region boundary while roaming. Be aware as well, that if you take to the air, not all the trees are set to phantom, which can also lead to unexpected collisions. 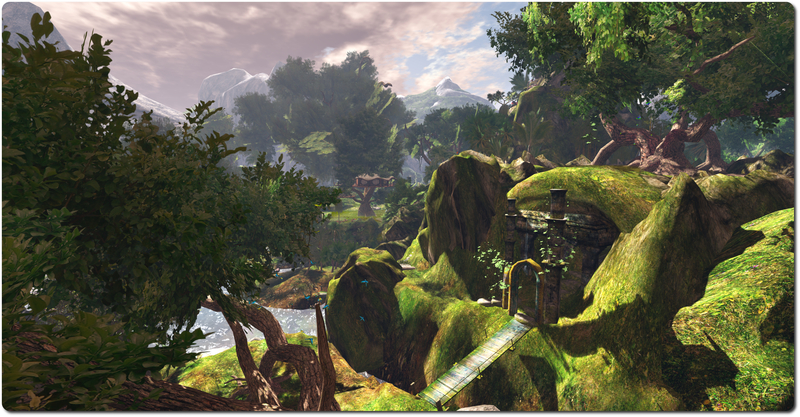 But don’t let that put you off; Bastet’s Paradise really is worth taking time to explore. I loved the otherworldly feel to part of the region – the play of glow and light across surfaces which gave the upward flowing water an entirely “alien” look and feel as it moved across rocky surfaces as if they were shimmering in their own right. Elsewhere, catching sight of distant mountain tops through the trees gave me a feeling of being in Lothlorien or perhaps Greenwood the Great before darkness crept into it, and looking out towards the distant Misty Mountains. For those who simply want a place to chill, Bastet’s Paradise offers plenty of scope – there are places to sit to be found under trees, on the shoreline, inside the assorted buildings – and even floating out of the water in a giant soap-bubble! Intan dance systems can be found throughout the region as well, and for those wanting a more romantic / intimate space, there’s a teleport system which will carry those who find it up to a skybox overhead. All told, an interesting place to visit.